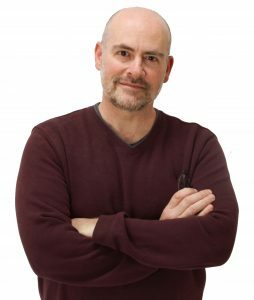 MFA, screenwriter and script doctor, who is the author of The 101 Habits of Highly Successful Screenwriters, Writing for Emotional Impact, and a contributor to Now Write! Screenwriting. Mr. Iglesias is a former development executive for Samson Entertainment. He is a recipient of the UCLA Extension Outstanding Instructor Award in Screenwriting, and a contributing author to Cut to the Chase (Gotham Books/Penguin). When a script lies around in a pile, it’s nothing but ink on paper and brads. It becomes alive only in the mind of a reader, in the experience of it. Good writing is good writing because you feel something when you read it. Though screenwriting is a particularly new form of storytelling, storytelling has been the same throughout the ages: it’s about the human experience, it’s about emotions. So the writer’s duty is to create an emotional response in the reader. My passion lies in teaching you to go beyond the basics, to evaluate scripts at the emotional level, and help you rewrite your script for maximum emotional impact on the reader. Think of yourself as a painter, and emotions as the colors on your palette. Get to know them, like a painter knows the power of each color on the spectrum. If you keep emotion at the forefront of your scenes, your words will disappear, and readers will lose themselves in the script. But writer beware: if you love the “magic” of movies, don’t take my course, because it offers techniques that will demystify what you see on the big screen. You’ll never experience a movie the same way again. Keep this in mind if you don’t want the “illusion” of great screenwriting shattered. Instructor Website: Click here to leave our website and go to Karl’s website.